Will Japanese Maple Trees Grow in Brisbane? Whether you’ve been fortunate to visit Japan, or just seen some of the gorgeous garden photos on Pinterest, you’ll know that Japanese Maple Trees are a truly spectacular tree species. With their colourful foliage juxtaposed against their dark twisted branches, not only are they beautiful, but they one of the best trees to plant in your garden to add value to your home. Their graceful silhouette can add year-round personality to your backyard, and they are an absolute feast for the eyes one to two months a year when they bloom. But can they grow in Brisbane? The good news is that yes, they usually grow well Australia-wide and Brisbane is no exception. Here are some pictures from Brindabella Country Gardens (north of Brisbane in Queensland) to illustrate. 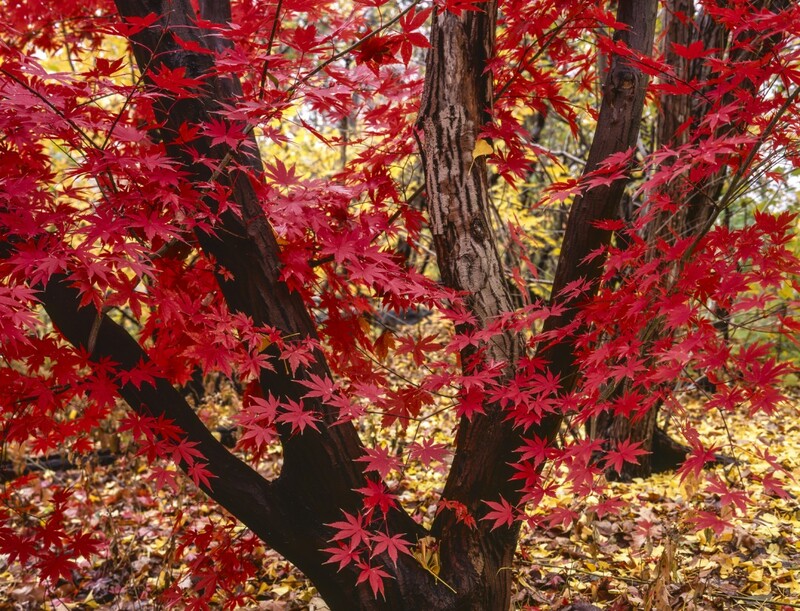 There are hundreds of different Japanese Maple varieties on offer – combining different leaf shapes, sizes and colours. If at all possible, try to pick out your Japanese Maple Tree when it is showing its colour. This way, you can be sure you’re getting the most spectacular colour possible for your garden. If you are not sure which one to choose, or to what size each variety will grow, it’s a good idea to do some online research and then visit your local plant nurseries to seek the advice of your local garden experts. Can Japanese Maples add value to my home? Yes, usually they can add value to your home because their colour and beauty has that ‘wow’ factor. So if you are planning to sell your home, be sure to take photos of your Japanese Maple Tree in Spring when it is putting on its most spectacular colour show, even if you plan to sell your home at a different time of year. Japanese Maples are relatively small trees so they can be planted on smaller lots without the fear of them damaging your house or their roots getting into your water and sewage pipes. Don’t forget, if your home gets hot in Summer, plant your trees in a position that will block the sun and provide your home and garden with valuable shade in the years ahead. Hi there can you refer me to places that sell Japanese maple trees in Brisbane. I will travel up to 50 kms outside of Brisbane if I have to , to fnuy at least 2 of them. Hi Therese, We don’t have a list, sorry. Perhaps phone some nurseries close to you and ask their expert advice? Good luck! Hi Therese, you can purchase these maples at Mt Tamborine – Birchgrove nurseries. They have a great selection on cool climate trees which will mostly grow well in Brisbane. I bought a little one in Cowra years ago -planted it in a pot and it grew, lost its leaves, but never coloured (we lived in the Redlands), until we moved to St George Qld, put in under shady trees and now it’s really big and colours prettily in autumn. They need shade and water, but are quite heat tolerant. Hi Therese, this is a very late reply but Maples by Mail are an online supplier. I have bought from them over the past decade with good results. They are inexpensive (currently about $25 per tree), but they only ship in winter. Acer palamatum can do well in Brisbane, however they are let down by poor nursery practise, poor planting techiniqe with no root corrective works and incorrect location. Avoid hot midday and afternoon sun, provided standard and correct practise is applied (as with all trees) plants must be ‘bare rooted’ to establish a correct root system. Don’t bury the plant, the root flare should be visible at the soil line. All potting mix should be washed off the roots and circling roots removed. Do not place putting mix into soil, do not add things to your plant hole such as compost ect. You want the plant to establish in your native soil. Never add things to your hole. When should I fertilise? When you test your soil and understand what nutrients it needs, never fertilise before understanding npk, regardless of ‘organic’ or not. Mulch, mulch with a woody based mulch made of large pieces, this is crucial for fungi, temp regulation and gas exchange. Mulch should be at least 15cm deep with a donut around the base of the plant so mulch isn’t against the trunk. And don’t forget to water, from September through to April, once a week with deep watering. Cultivars that perform the best in warm temperate and subtropical climates, atroporeum, Sango kaku, emperor, and fine leafed varieties. Also not a Japanese but a Thai maple is the Acer burgenarium is a great selection. And if you have more space, Acer rubrum sold as Florida flame is perfect for our climate. If a deciduous tree grows in Florida, it’ll grow in Brisbane, well. Hi David, we have a Acer palamatum and planted it in the front yard last year, it has come to life this spring but is in full sun. We are redoing the front garden and are hoping to re-plant it into a large pot until further notice. It is about 1m high at the moment – it is a very young looking tree. We would like to put it somewhere with more shade until we decide where to plant it back in the ground. Is this something you would recommend? If we dig right around the circumference of the leaves will it likely transplant ok? I meant to say planted it earlier this year, before winter, in Brisbane. it lost it’s leaves for a few months over winter and has fully taken off again now. Hate to move it, but afraid of the damage from the sun also as it gets so hot here. I have started experimenting with a magnolia here in Darwin NT – full on tropical! I have it in a pot in full sun until just after midday and it is doing well. It is in a 30 cm pot, is watered most days and is about a metre high and starting to branch laterally. Leaves are deep, dark green on top and a furry tan underside. Maybe a flower this spring! Hi, I was wondering how Japanese Maples can grow in Australia without a dormancy period? Is there something special you have to do the Maples? If not, does this affect how long they live? Thank you for your time.